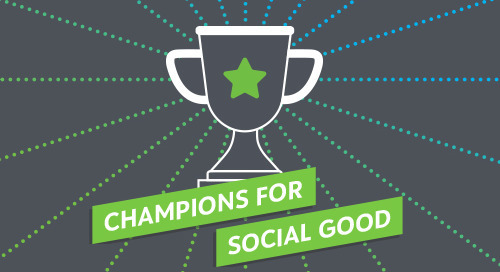 In this episode of the Champions for Social Good Podcast, Jamie Serino speaks with Danielle Holly (@dholly8), CEO of Common Impact (@CommonImpact), about the organization’s work to build corporate social responsibility (CSR) and employee volunteer programs for companies that deliver real value to both the private and social sectors. Danielle talks about the transformation she’s seen in corporate social responsibility (CSR) over the past ten years from being a siloed function to being integrated into all parts of the business, and in particular how business units are increasingly using skilled-based volunteerism as a talent development experiential learning tool. Jamie and Danielle also discuss how companies and community organizations are measuring the real value of skills-based volunteer programs.